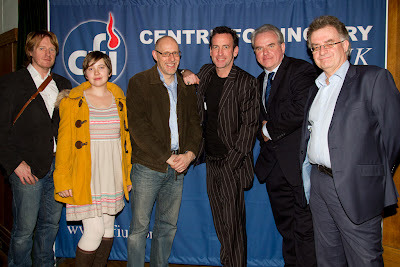 BEYOND THE VEIL event on Saturday (Centre for Inquiry UK event). The group shot is (left to right) myself, Hayley Stevens, Richard Wiseman, Paul Zenon, Ian Rowland, Chris French. 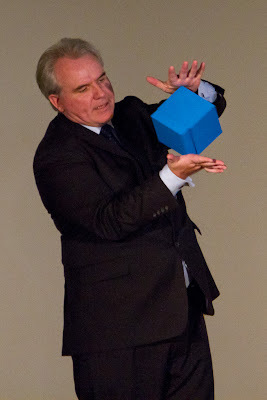 I like the photo of Ian and the blue box. He should have spoken more about what we thought we were seeing and why we thought we saw what we saw. I would also have liked him to have talked more about the statistics issue ie when presented with a range of numbers people tend to choose the same one, again if he could have explained why then that would have been a much better talk. “Humanism” is a word that has had and continues to have a number of meanings. The focus here is on kind of atheistic world-view espoused by those who organize and campaign under that banner in the UK and abroad. We should acknowledge that there remain other uses of term. In one of the loosest senses of the expression, a “Humanist” is someone whose world-view gives special importance to human concerns, values and dignity. If that is what a Humanist is, then of course most of us qualify as Humanists, including many religious theists. But the fact remains that, around the world, those who organize under the label “Humanism” tend to sign up to a narrower, atheistic view. What does Humanism, understood in this narrower way, involve? The boundaries of the concept remain somewhat vague and ambiguous. However, most of those who organize under the banner of Humanism would accept the following minimal seven-point characterization of their world-view. Abstract: This chapter looks at a range of objections to theism that one might class as 'logical'. Some of these objections aim to show that theism involves an internal logical contradiction. Others aim to show that theism is at least logically incompatible with other beliefs to which the theist is also typically committed. Also included are objections grounded in the thought that theism is nonsensical or meaningless. The chapter provides both an overview of this broad terrain, including a map of possible responses to different kinds of objection, and then a number of examples.